The National Board of the National Association for the Advancement of Colored People (the NAACP) has decided to end its relationship with its President Cornell Williams Brooks, saying it wants a new face for the organization as the civil right group and its members wrestle with increasingly tougher challenges from conservative politicians, President Donald Trump and his Administration. The leadership change in the nation’s oldest civil rights group comes as a variety of progressive organizations, civic, education and political leaders are searching for a new pitch, tone and message to combat rhetoric and actions not seen in decades. “We are in a transitional moment,” NAACP national board chairman Leon W. Russell said in an interview with New York Times reporter Yamiche Alcindor. “This is the opportune time to begin to look at all our functions as an association and see are we the right fit for the current reality,” attorney Russell said. Russell said 56 year-old Brooks, a minister and civil rights attorney, had done a good job during his three years as head of the group. Still, he said, the decades old organization needed leadership that could wrestle with the challenges posed by Trump and his new national leadership team. 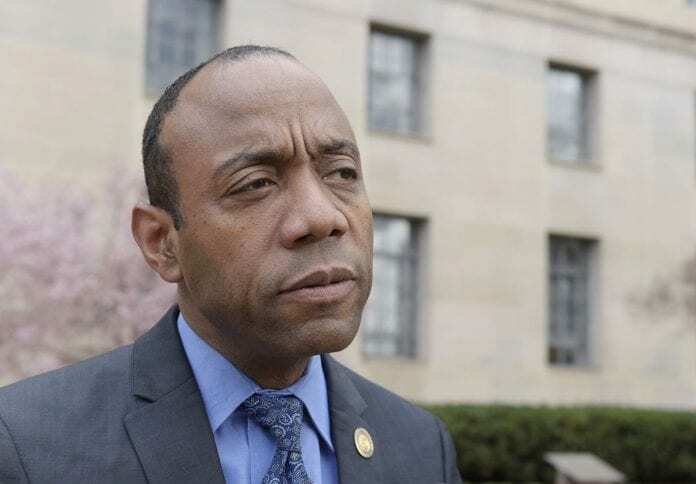 Brooks, who had been out front in recent months engaging in several protests of Trump Administration actions, told Alcindor he was puzzled by the leadership’s decision not to renew his contract which ends in June. In an interview with Alcindor, Brooks said he was “somewhat mystified and disappointed” in the board’s decision to dismiss him, adding: “I love the work. “Relevance is about authenticity and impact, and we tried to do that,” Brooks said of his team’s leadership. The president of the Tennessee Conference of NAACP Branches could not be reached for comment, despite several attempts to do so. Russell and NAACP vice chairman Derrick Johnson said the hundred year old organization, which assembled scores of local and state volunteers for the civil rights movement, needed to freshen its leadership ranks to push back againt President Trump and his administration on a variety of fronts. They said the group would have listening tours around the country to hear suggestions on maintaining the group’s relevance. The NAACP’s efforts to reassert its presence on the civil rights front comes as its historical role is being challenged by newer movements, including Black Lives Matter and the National Action Network (NAN), the advocacy group started by the Rev. Al Sharpton. In his talk with Alcindor and other reporters about the future agenda for the NAACP, Russell said the NAACP planned to train members how to disseminate information quickly in response to White House actions and announcements with which they disagree. Local chapters will get more resources from the national group to support their activism efforts.